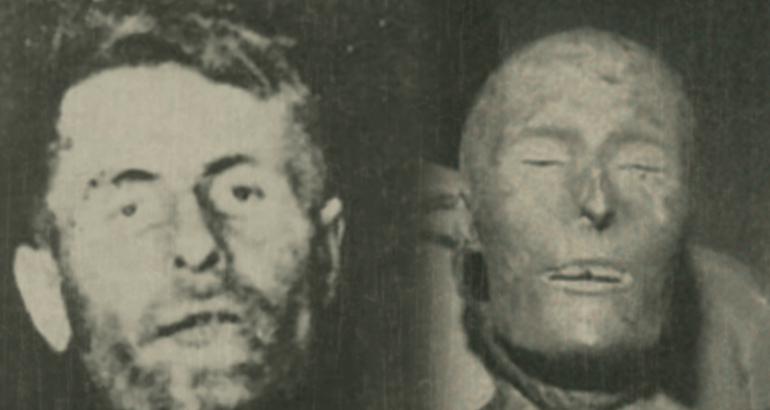 For 65 years, the corpse of Elmer McCurdy had one wild ride. 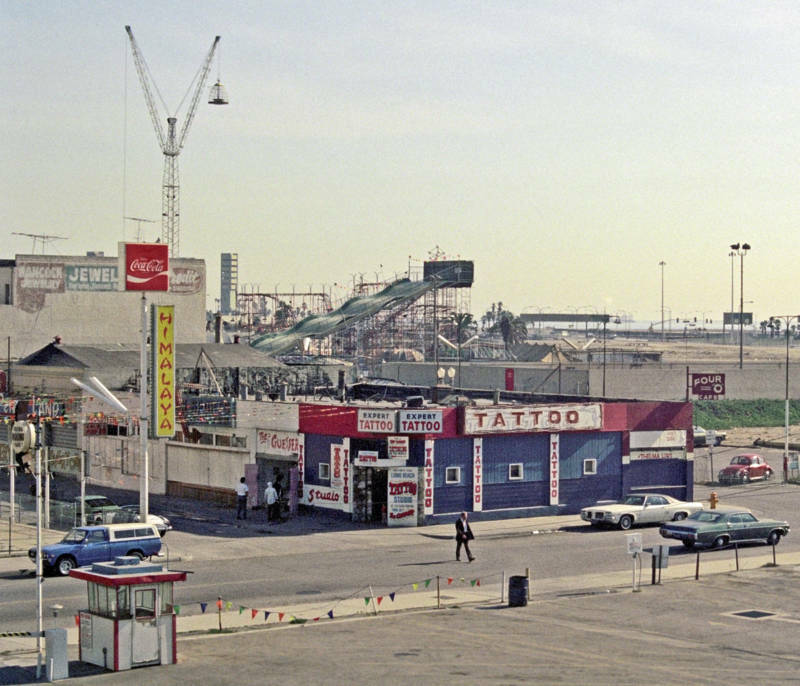 Wikimedia CommonsThe Nu-Pike Amusement Park in Long Beach, California. 1976. In 1976, a horrifying discovery was made at the Nu-Pike Amusement Park in Long Beach, California. A camera crew member for the television show The Six Million Dollar Man was in the park’s funhouse to prepare the set for a scene when he needed to move what he thought was a hanging mannequin. When he moved it, one of its arms broke off. To his shock, he saw that the arm contained what was clearly a real human bone. He had broken the arm of an actual corpse. The body was that of Elmer McCurdy, an outlaw who accomplished little while he was alive but found much success as a sideshow attraction following his death. In 1911, McCurdy tried to rob a train near Lenapah, Oklahoma. Unfortunately for him, the explosives that he used to open the train’s safe ended up melting the silver that he wanted to steal. His subsequent forays into lawbreaking did not go much better. When he tried to rob a bank in Kansas, he repeated his earlier mistake and melted the contents of the bank’s safe. Then in October, he and some accomplices tried to rob another train in Oklahoma. They wanted to get the Native American tribal payments that they believed the train was carrying. However, he and his accomplices were wrong about the train’s departure and arrival times and ended up robbing a passenger train instead. Thus, they were only able to get $46 and two jugs of whiskey. He took what he got from the robbery and went to a barn on Oklahoma’s border with Kansas, where he met his untimely demise. Police found him at the barn. McCurdy shot at them and announced that they would not take him alive. So the police shot back and took him dead. His body was taken to a funeral home in Pawhuska. Perhaps because of his criminal behavior and failure to achieve success in life, no one claimed the body. Eventually, however, various people would want to get to their hands on the body. The undertaker at the funeral home proved to have an unusual mind and little respect for the deceased. When no one claimed McCurdy’s body, he embalmed it and put it on display for visitors who were willing to put a nickel in its mouth. Five years later, a couple of carnival owners became interested in acquiring the body so that they could display and profit from it themselves. The undertaker did not want to sell the body, but the carnival owners suspected that he would be willing to give it to Elmer McCurdy’s relatives. So they went to the funeral home and claimed to be Elmer McCurdy’s brothers. Over the next several decades, the body got into the hands of different people wanting to profit from it. Many of them were unaware that it was real. As the body changed hands, it showed up in various places, including an amusement park near Mount Rushmore, the Hollywood Wax Museum, and several haunted houses. Eventually, the body somehow made its way into the Nu-Pike Amusement Park. Like many of the body’s owners, those at the park assumed it was fake. Following the discovery that the body was real in 1976, police identified it as being McCurdy’s corpse and had it buried at Summit View Cemetery in Guthrie, Okla., which put an end to his bizarre afterlife as a sideshow attraction. After learning about the well-traveled corpse of Elmer McCurdy, read about “Lobster Boy” – the circus act turned murderer. Then, see a tattooed mummy brought to life in a stunning re-creation.